Today’s times require most often than not the presence of a lawyer for different reasons. 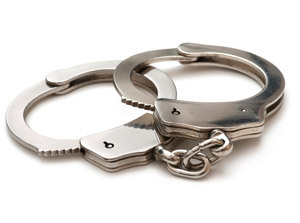 Sometimes, these reasons are very serious – you are facing a lawsuit, you are arrested or you may be charged with crime. This shouldn’t scare you, because this is not always the case. People need the presence of a lawyer when they need legal advice or legal expertise, in different situations. In addition, before taking a decision, it’s best to consult with a lawyer to get an expert advice, just to be sure at least that you have made the right choice. This is the first question that you have to ask yourself. If you believe that your liberties or your finances are at stake, then you surely need the help of a lawyer. If you have just received a parking ticket, then you can pay it off without consulting a lawyer. Unfortunately, if you have too many parking tickets unpaid and you face a warrant for your arrest, then you surely know it’s time to get a good lawyer. This is a necessity, especially if you want to save money and stay out of jail. Other areas that request legal advice are tax planning, estate planning, trusts, drafting wills, negotiating and signing business deals and sometimes even adopting children. Keep in mind that however serious your situation is, you might have to ask for legal advice as a last resort. There may be alternative ways to solve the issue. For example, there are some companies that have a customer service that is dedicated to solving customer complains and problems. Apart from this, before going to a lawyer, make sure you have covered the mediation or the arbitration. These are other forms of legally solving your issue, without using a lawsuit. Why Do You Need to Ask For a Lawyer? Some situations require a fast response from your part. Here comes as an example the time when you have suffered a car accident. If you have been injured, and you are not guilty of producing the accident, you can file a lawsuit. Even so, you need to do it fast, because there are other parts involved in this – the insurance company, the hospital, the other people involved in the accident. You’ll have a time limit, and if you think you need a lawyer, then ask for his help sooner. Asking for a lawyer is not only for those times when you are in an accident. You can ask for legal advice whenever you feel that the terms of a contract are not clear to you, or you feel that the wording is ambiguous. A legal advice might save you much money, as an unclear statement in a contract can be misinterpreted. Think about what exactly is your goal in a lawsuit or a possible lawsuit. This is an important question, because based on the answer, you will have to address to a certain lawyer. There are many branches in the law area – some are specialized in business, others are specialized in family law; some lawyers are good in financial law, while others are specialized only in maritime law. Give the right answer and you will get the right lawyer. 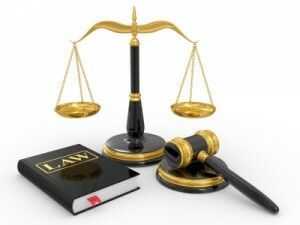 If your goal is clear and you know who to address to, then everything is simple and the lawyer will guide you through. But keep in mind that you should be also clear about what you want to achieve with the lawsuit – you might want to get back your old job, as you feel that the employer was not fair when firing you; you might want to recover the money spent on an expensive product that malfunctioned and the producing company doesn’t recognize the fact and so on. The truth is that you need to be true with yourself and your goals should be kept realistic.